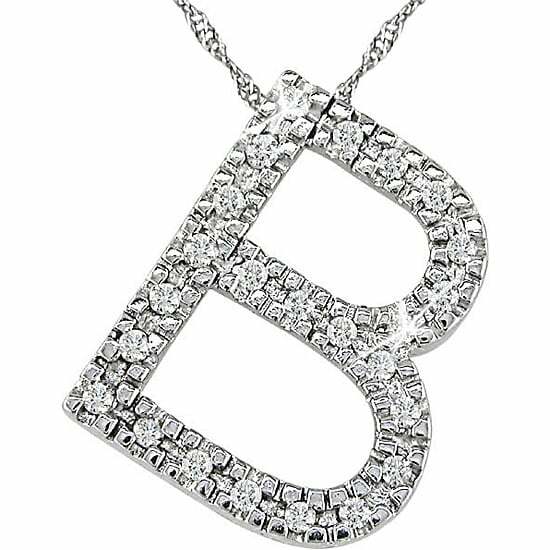 The necklace and initial jewelry I received is something that is beautiful and appropriate enough to wear for any dress occassion. All carat weights and measurements are approximate and may vary slightly from the listed dimensions. *T.W. (total weight) for 1/10 carat T.W. may range from .08 to .12 carat. Treatment code N. See Treatment Guide for further information.